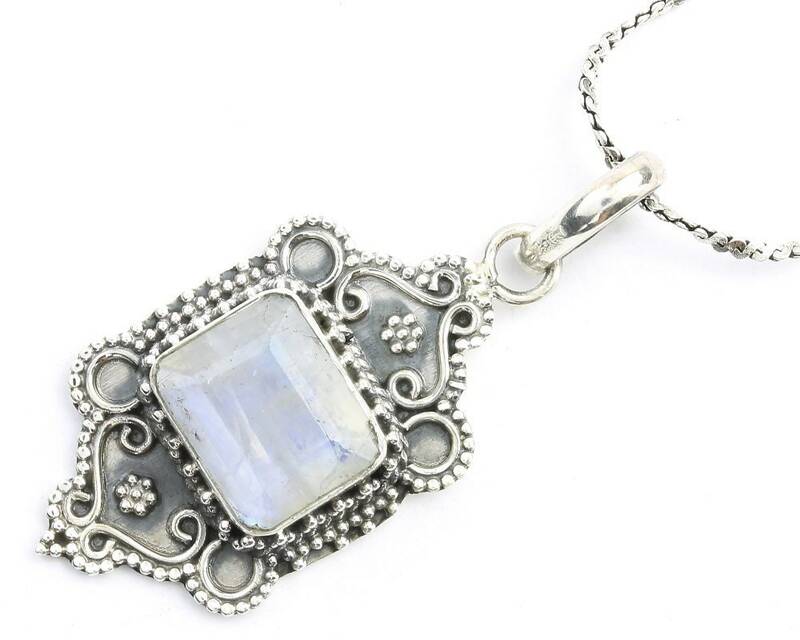 Boheme Moonstone Sterling Silver Necklace. 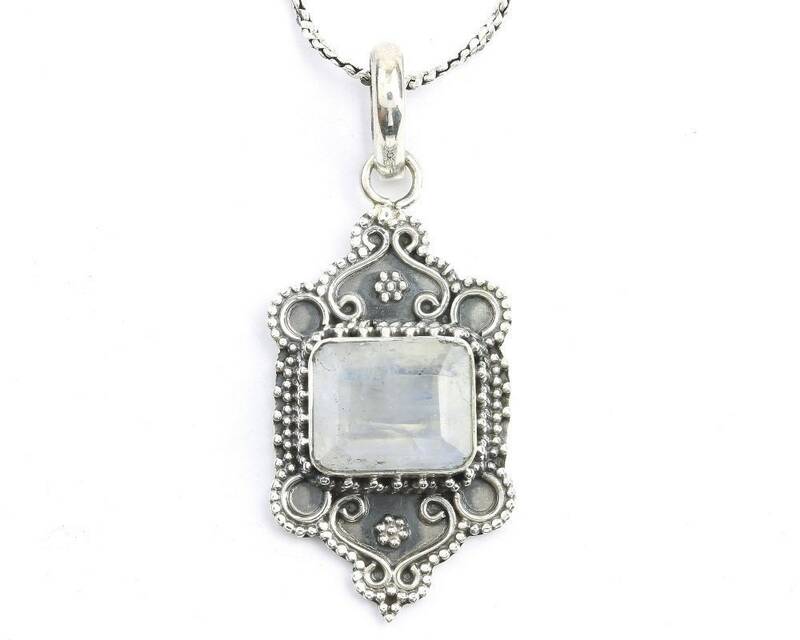 Beautiful ornate sterling silver pendant with facet cut square moonstone. Light patina finish accentuates the intricate detail. 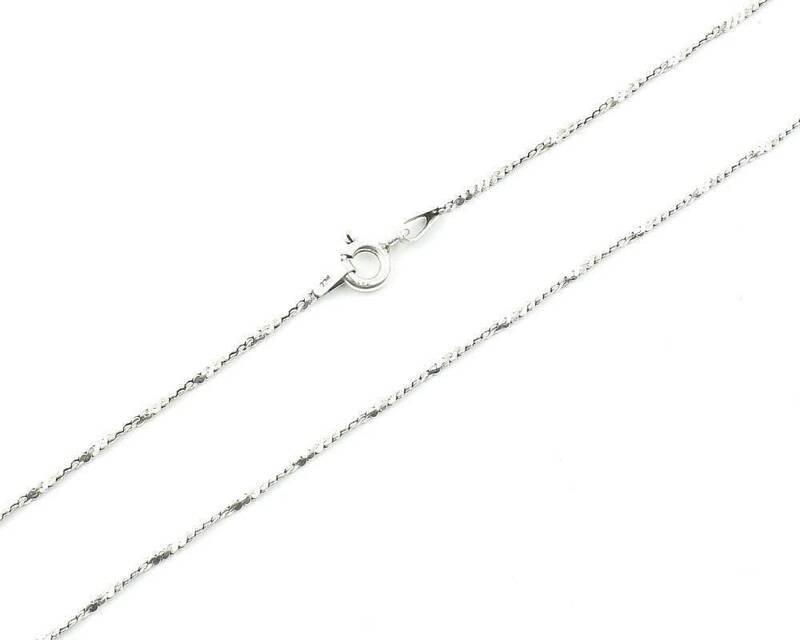 Choice of chain length: 16 inch, 18 inch, 24 inch. This is a genuine gemstone piece. Each stone is unique and may vary slightly from what is pictured. Chain Length: 16" 18" 24"
Gorgeous necklace with quality detailed work in the metal and setting of the moonstone. The product arrived in great time. I like the chain that the merchant chose to go with this pendant, as it adds complements the shine of the pendant and stone appropriately. Excellent craftsmanship. I would order from this merchant again.